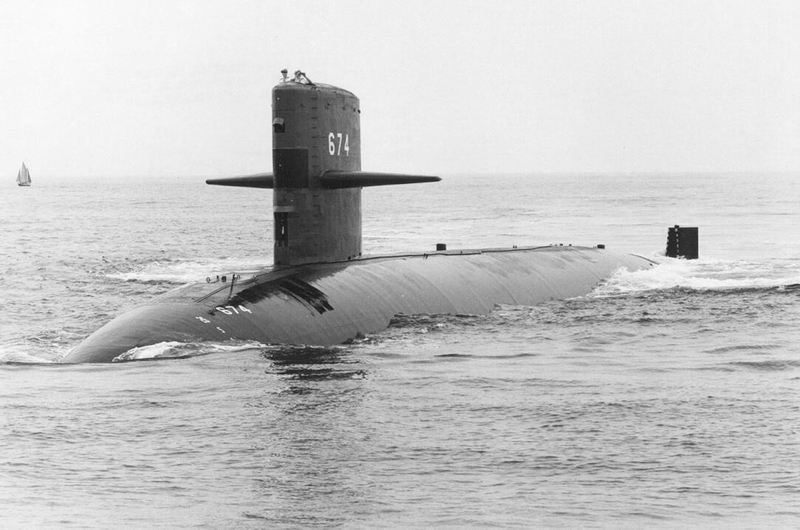 Sturgeon Class Attack Submarine: Laid down, 28 October 1967, at the Electric Boat Division, of General Dynamics, Groton, CT.; Launched, 27 September 1969; Commissioned, USS Trepang (SSN-674), 14 August 1970; Decommissioned and simultaneously struck from the Naval Register, 1 June 1999; Final Disposition, disposed of through NPSSRP (Nuclear Powered Ship and Submarine Recycling Program) at Puget Sound Naval Shipyard, Bremerton, WA., 7 April 2000. 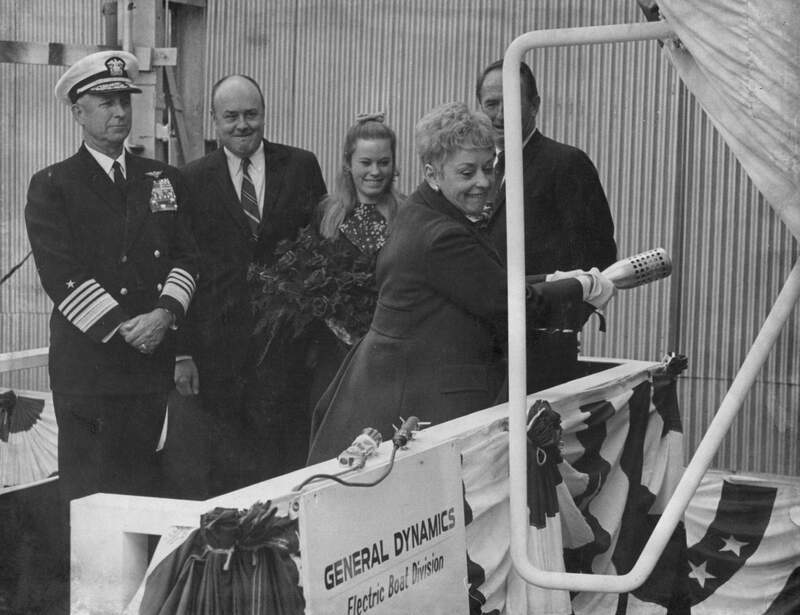 309k Mrs. Melvin R. Laird, wife of the Secretary of Defense, swings and misses the Trepang (SSN-674). Photo courtesy of Dale Hargrave. 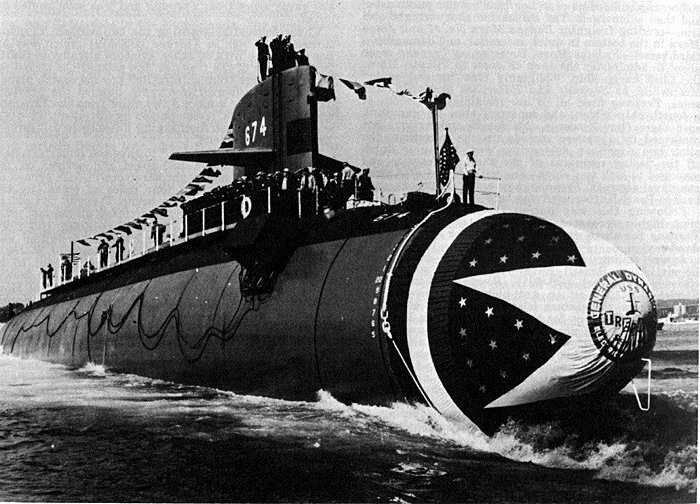 335k Trepang (SSN-674) first day of launch cover, 27 September 1969. Photo courtesy of Paul Petosky. 333k Trepang (SSN-674) at the end of the shipway during her launch at Electric Boat Division, of General Dynamics, Groton, CT., 27 September 1969. Photo courtesy of Dale Hargrave. 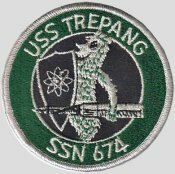 117k The Trepang (SSN-674) is waterbourne. USN photo. 914k Trials of the Trepang (SSN-674) on 5 July 1970. USN photo # NPC 1145182 courtesy of Scott Koen & ussnewyork.com. 906k Trials of the Trepang (SSN-674) on 5 July 1970. USN photo # NPC 1145186 courtesy of Scott Koen & ussnewyork.com. 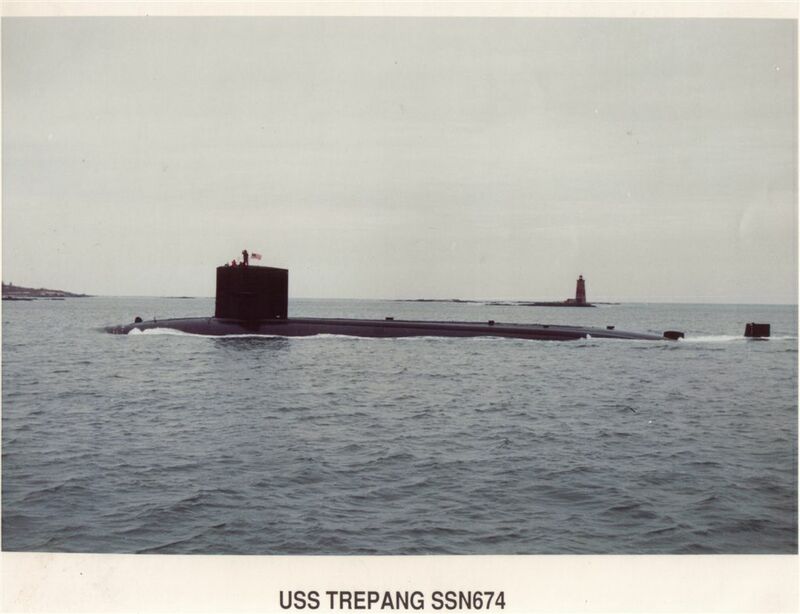 1.22k Trials of the Trepang (SSN-674) on 5 July 1970. USN photo # NPC 1145183 courtesy of Scott Koen & ussnewyork.com. 154k Rear Admiral Dean Reynolds Sackett, Jr comes from Beatrice, Nebraska where he grew up and attended high school. In 1952, he entered the U.S. Naval Academy, graduating with distinction in 1956. He also received a Master of Science Degree in Engineering from George Washington University. He completed a full career of 34.5 years in the U.S. Navy, retiring in 1991 as a Rear Admiral. 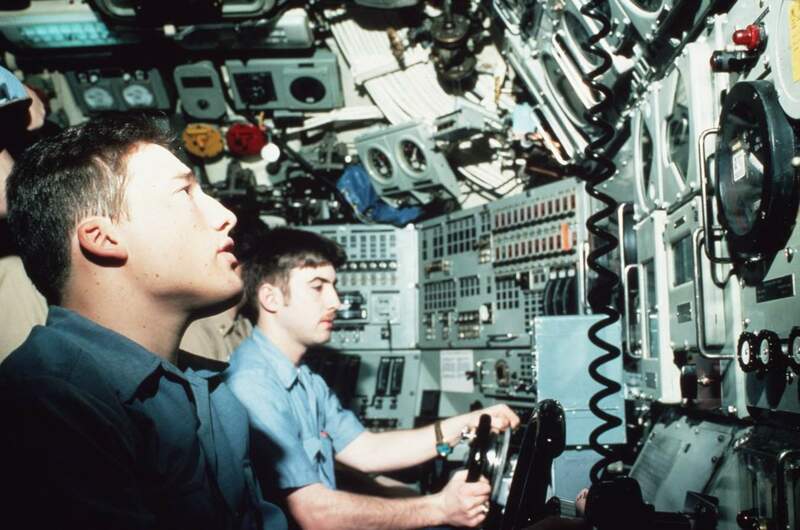 His assignments included tours in destroyers and nuclear submarines in the Navy's nuclear power program. 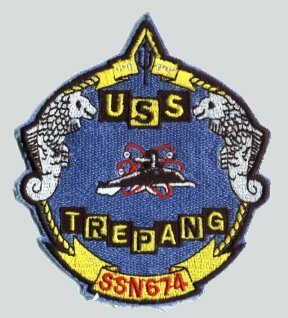 He commissioned, as Commanding Officer, the Trepang (SSN-674) [14 August 1970 to 7 December 1973]. 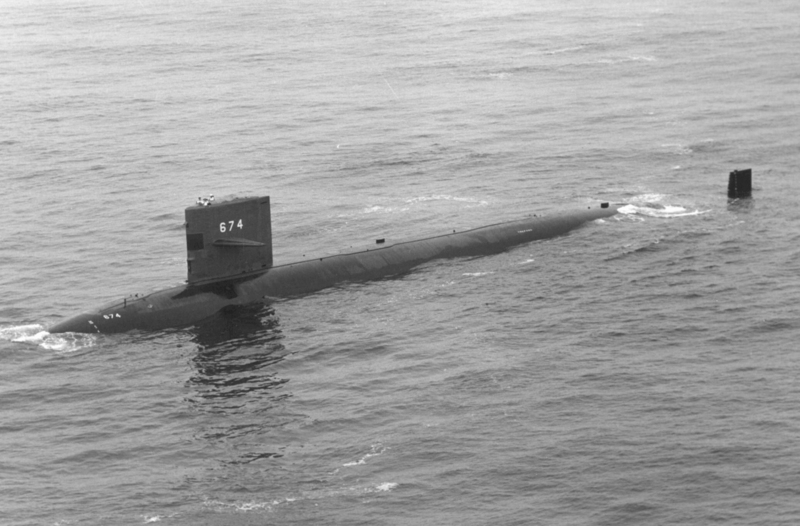 He also served as Commanding Officer of the Howard W. Gilmore (AS-16) [11 June 1976 to 15 May 1978], a nuclear capable repair ship. USN photo # DN-SC-88-07729, courtesy of dodmedia.osd.mil & submitted by Bill Gonyo. 82k Bow on view of the Trepang (SSN-674), February 1971. Official USN photo # NPC 1146830 courtesy of Wendell Royce McLaughlin Jr. & ussnewyork.com. 74k The Trepang (SSN-674) and the Fulton (AS-11). 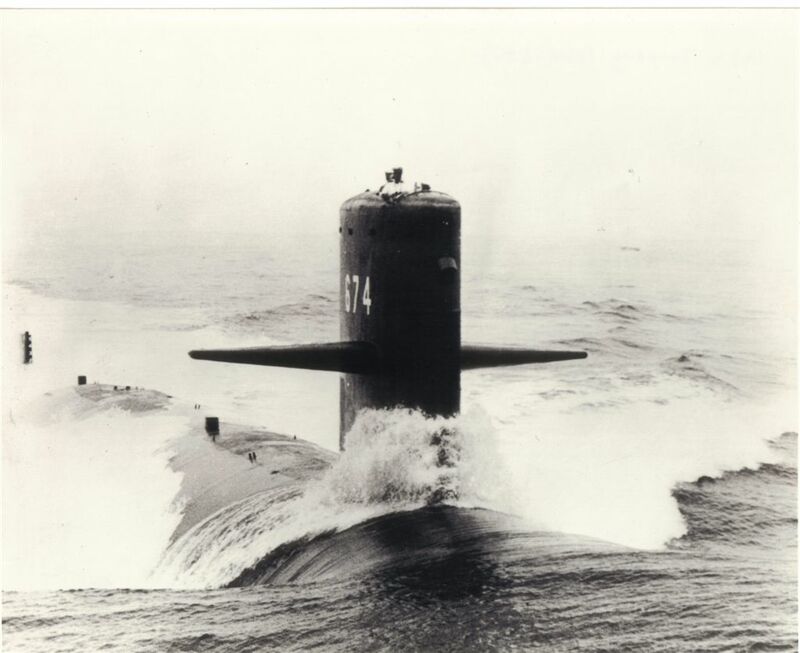 Official USN photo courtesy of Wendell Royce McLaughlin Jr.
69k Trepang (SSN-674) surfaced above the Arctic circle, 1971. USN photo courtesy of Arctic Submarine Laboratory. 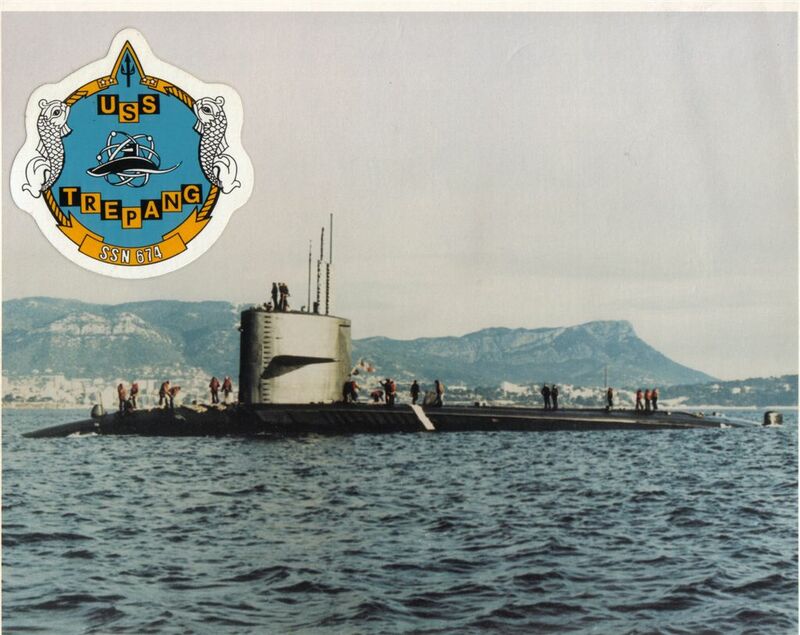 368k Ten photo PDF / Welcome Aboard the Trepang (SSN-674). USN photo courtesy of Scott Koen & ussnewyork.com. 410k Five page PDF / COC Trepang (SSN-674), 7 April 1973. USN photo courtesy of Scott Koen & ussnewyork.com. 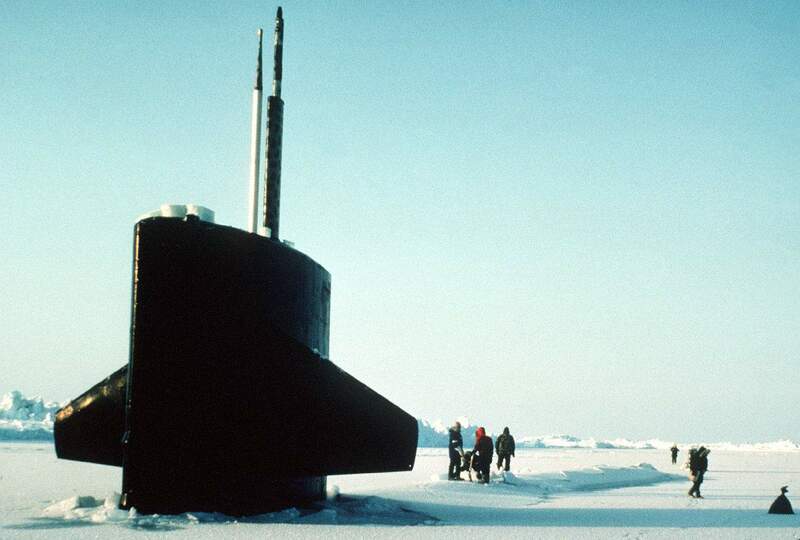 154k The sail of the nuclear-powered submarine Trepang (SSN-674) protrudes from the ice near Ice Camp Opal, one of three research stations established on the polar ice cap during the Arctic Research and Environmental Acoustic (AREA) program. AREA '85 is a Navy-sponsored expedition to study oceanography, acoustics, geophysics, communications and submarine warfare in the polar environment. 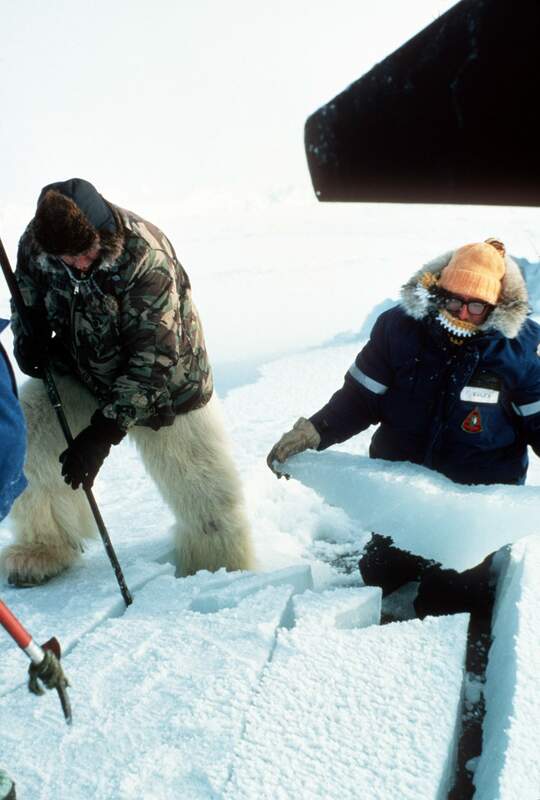 Crew members are removing ice from one of the ship's hatches. USN photo # DN-ST-87-02290 by PH1 David B. Loveall, courtesy of dodmedia.osd.mil & submitted by Bill Gonyo. 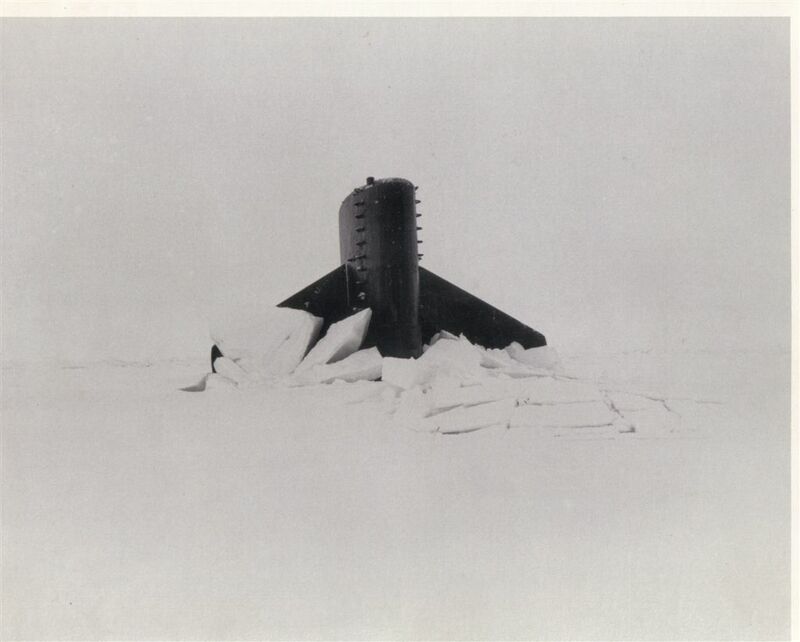 127k The sail and tail fin of the nuclear-powered submarine Trepang (SSN-674) protrude from the ice after surfacing near Ice Camp Opal, one of three research stations established on the polar ice cap during the Arctic Research and Environmental Acoustic (AREA) program. USN photo # DN-ST-87-02298 by JOC Kleinenberger, courtesy of dodmedia.osd.mil. 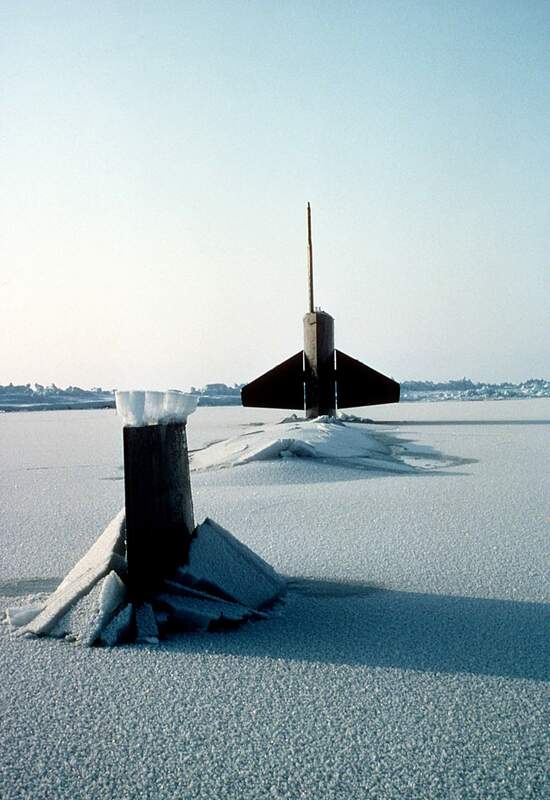 377k Ice is cleared from the hatch of the nuclear-powered submarine Trepang (SSN-674) on 5 July 1985. USN photo # DN-ST-87-02294 by PH1 David B. Loveall, courtesy of dodmedia.osd.mil. 127k The Ships Control party maneuvers Trepang (SSN-674) while underway under the ice pack during ICEX-85 operations in support the Arctic Research and Environmental Acoustic (AREA) program in June 1985. USN photo # DN-ST-87-02303 by JOC Kleinenberger, courtesy of dodmedia.osd.mil. Photo & text i.d. courtesy of Bill Lambing. 138k Admiral (ADM) James D. Watkins, chief of naval operations, left, and Vice Admiral (VADM) N.R. 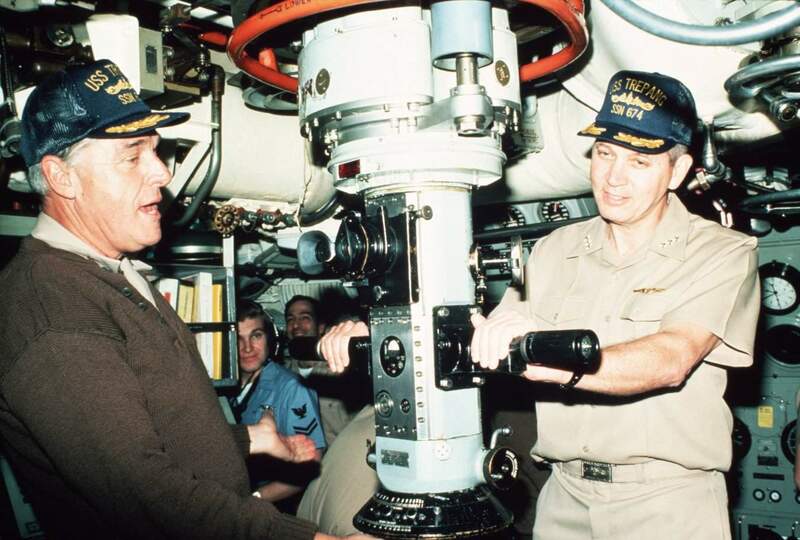 Thunman, deputy chief of naval operations, submarine Trepang (SSN-674) while inspecting the Arctic Research and Environmental Acoustic (AREA) program. USN photo # DN-ST-87-02289 by PH1 David B. Loveall, courtesy of dodmedia.osd.mil. 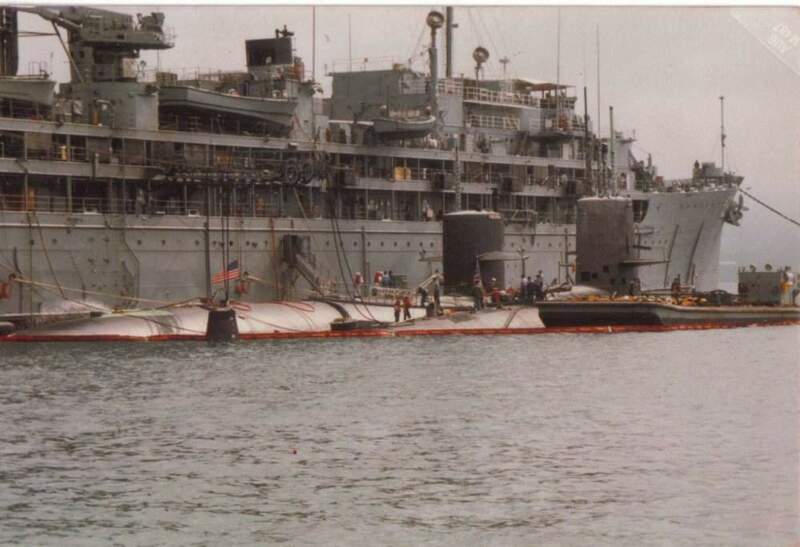 91k Trepang (SSN-674) ready to enter Portsmouth, U.K. for a post ICEX-85 port visit, June 1985. 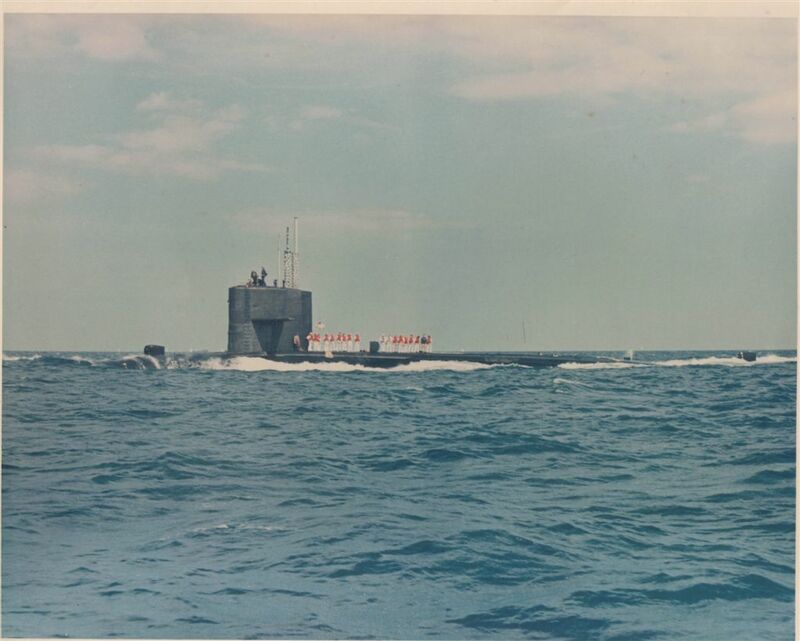 Photo courtesy of Wendell Royce McLaughlin Jr.
125k Trepang (SSN-674) approaching Toulon, France, after 6th Fleet exercizes, June, 1987. The mountains behind us are the French Alps, extreme southern range. 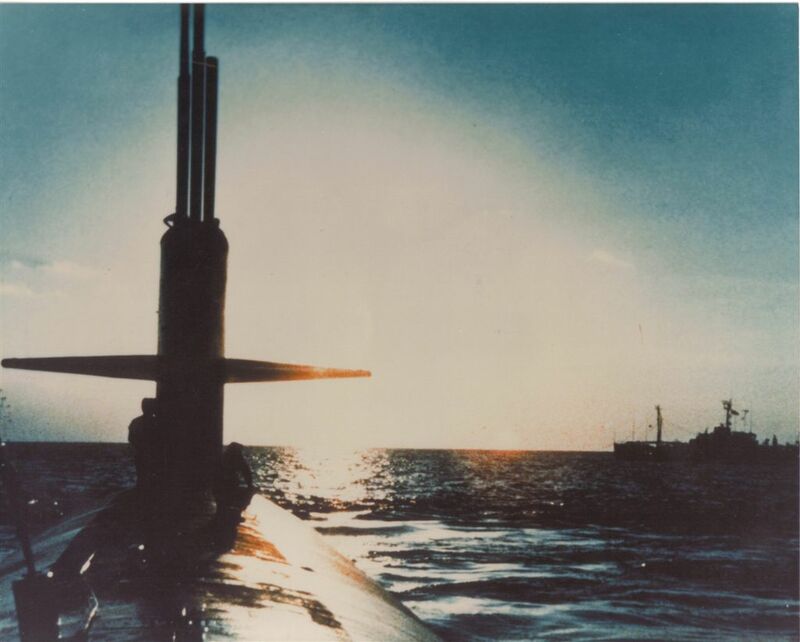 Photo courtesy of Wendell Royce McLaughlin Jr.
43k Commemorative postal cover issued on the occasion of Trepang's (SSN-674) 20th anniversary commissioning, 14 August 1990. Photo courtesy of Wendell Royce McLaughlin Jr.
418k Trepang's (SSN-674) crew photo in dry dock, in the fall of 1994 in Groton, CT. Photo i.d. 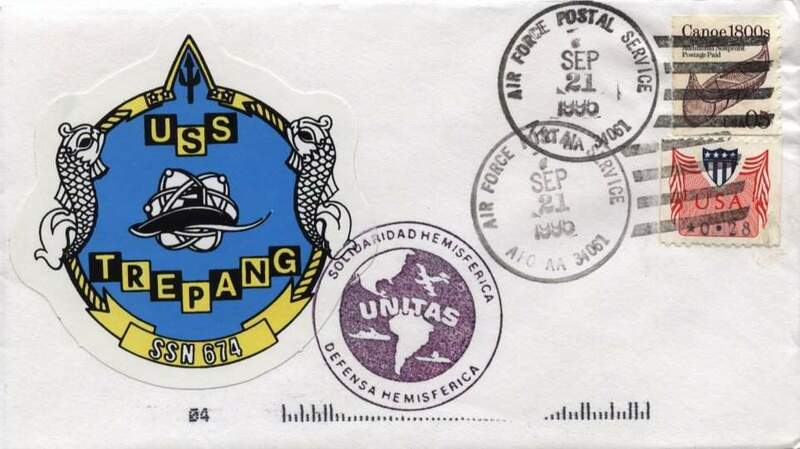 courtesy of Timothy Alan Willis Jr.
67k Commemorative postal cover issued on the occasion of Trepang's (SSN-674) visit to the Southern hemisphere, 21 September 1996. Courtesy of Jack Treutle (of blessed memory). 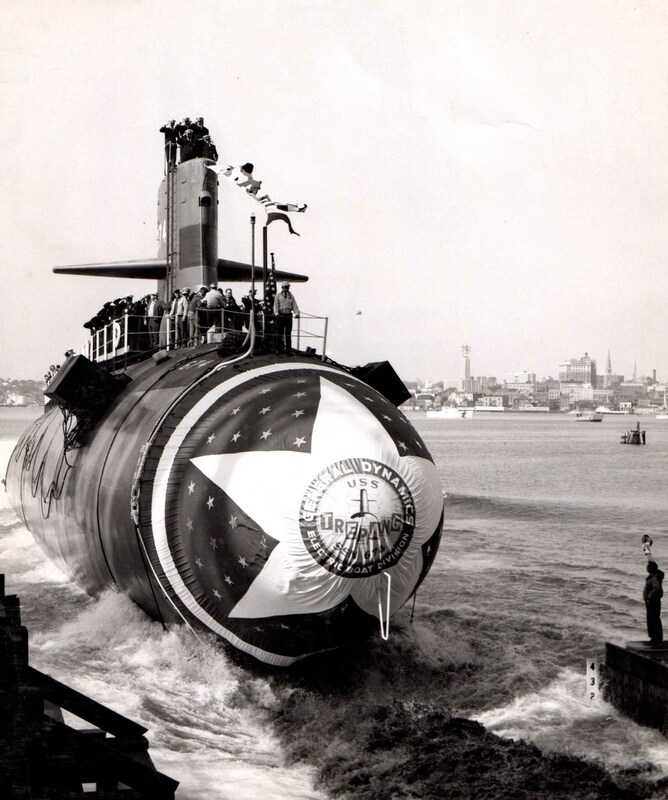 80k The Trepang (SSN-674) entering Portsmouth Naval Shipyard, Kittery,ME. Official USN photo courtesy of Wendell Royce McLaughlin Jr.
65k The crew's "dining room", the mess decks, from the U.S. Navy nuclear-powered submarine Trepang (SSN-674), is displayed as part of the submarine exhibit which opened 12 April 2000 to the public at the Smithsonian's National Museum of American History. USN photo by Alan P. Goldstein, Navy Office of Information. The cribbage board and a paperback copy of Anne Rice's 'Queen of the Damned' that appear in the crew's mess were donated by Montgomery Boyle, Formerly ET2(SS) aboard the Trepang. 152k The commode / bathroom (head) from the C.P.O. 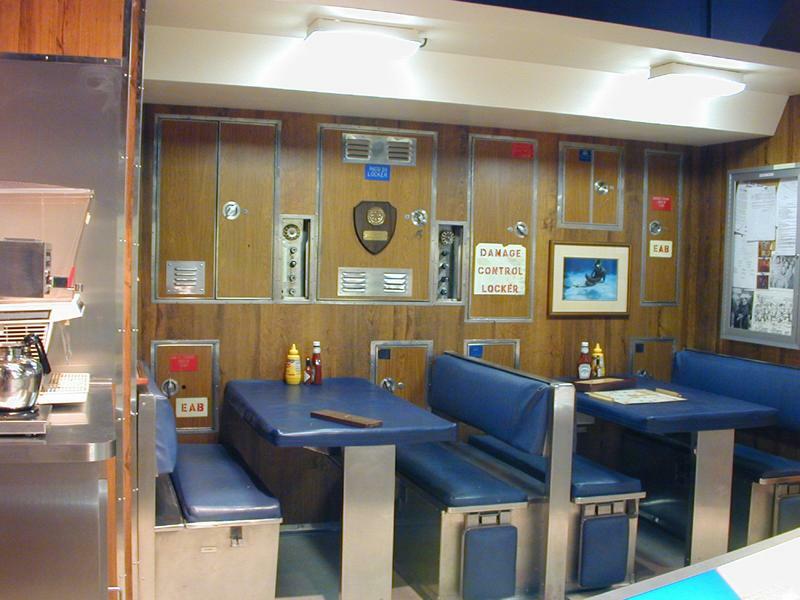 (Chief Petty Officer) quarters aboard a typical U.S. Navy nuclear-powered submarine (in this case) the Trepang (SSN-674) of the Cold War era is displayed as part of the exhibition which opened 12 April 2000 to the public at the Smithsonian's National Museum of American History. The commodes and wash sinks are in a separate space from the showers. 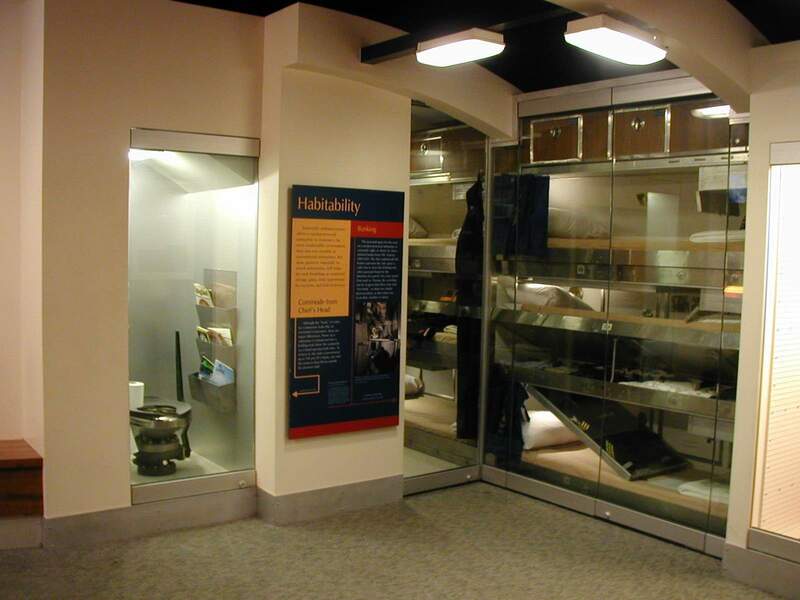 Two commodes and three sinks in a space six feet by six feet was considered "luxurious" by sailors from diesel powered boats of WWII. Photo copyrighted by the Smithsonian/NMAH-Transportation. Photo # P5280475 courtesy of Paul F. Johnston, Ph.D.
Curator of Maritime History National Museum of American History / Captain Pete Boyne (USN Ret) / Admiral Jerry Holland (USN Ret) & Alice Jonaitis. Text courtesy of Admiral Jerry Holland (USN Ret). 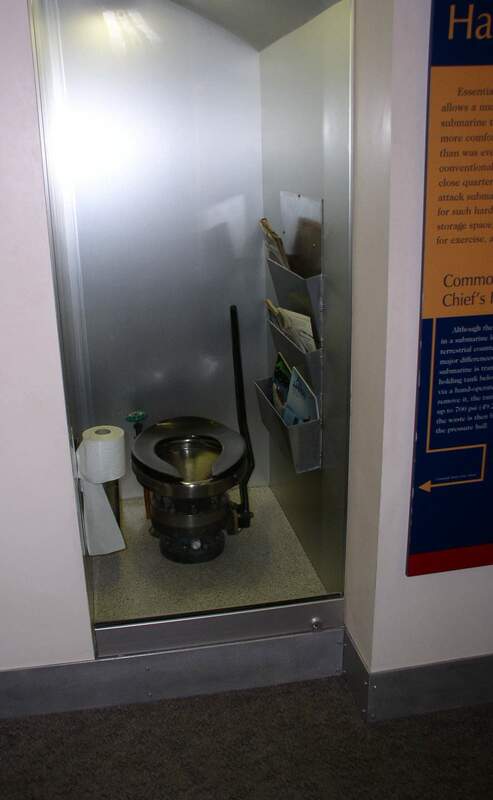 179k The commode / bathroom (head) from the C.P.O. (Chief Petty Officer) quarters aboard a typical U.S. Navy nuclear-powered submarine, (in this case) the Trepang (SSN-674), of the Cold War era is displayed as part of the exhibition which opened 12 April 2000 to the public at the Smithsonian's National Museum of American History. Photo # P6020109 courtesy of Paul F. Johnston, Ph.D.
Curator of Maritime History National Museum of American History /Captain Pete Boyne (USN Ret) / Admiral Jerry Holland (USN Ret) & Alice Jonaitis.